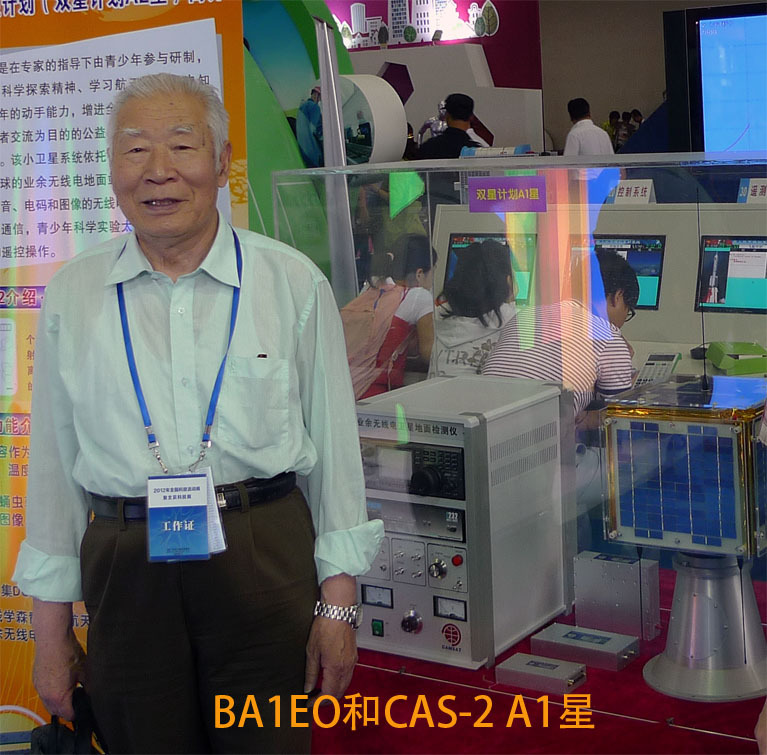 CAMSAT developed the linear transponder amateur radio payload on the CAS-1 (aka XW-1, HO-68) satellite which proved very popular with radio amateurs world-wide. Since then they have been working with students at the Qian Youth Space Academy on the next satellites CAS-2 A1 and A2. Operators BA1EO, BA1DU, BA4TA, BA4TB, BA4RN, BA4WI, BA4ALC, BH4RQU, BH4REQ, BD5RV, BA7CK, BA9GA, BA9TX, BD9GQ, and BG0GE will operate in the contest of the CAMSAT DX Party from the 19th to the 28th as BJ9TA (VHF, including the ARRL EME Contest (Oct. 26/27)) and as BY9GA/9 (HF, CQ WW DX SSB Contest). QTH is Dunhuang, in the north-west (CQ zone 23). QRV on 160m-70cm with 4 stations. 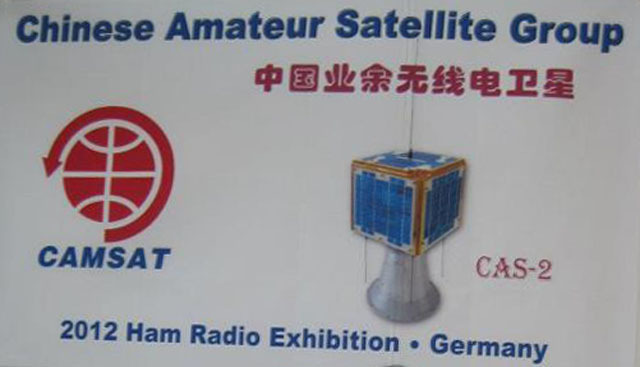 Gong Wancong BA1DU led the CAMSAT delegation to Ham Radio 2012 in Friedrichshafen. Randy Hall K7AGE visited Beijing in March 2008. Among the people he met was Fan Shaomin BA1EO.